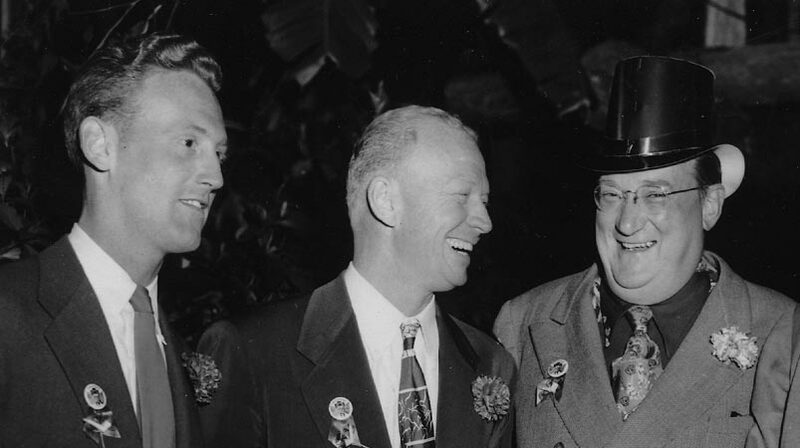 Although the famed Walter Lanier “Red” Barber was with the Dodgers in Brooklyn prior to Walter O’Malley’s arrival as President, he did stay on for three more seasons under the new boss and made a significant contribution in helping to mentor Vin Scully, who has been, perhaps, the most beloved of all baseball broadcasters. Barber used catchy phrases like “the bases are FOBs” — full of Brooklyns, “he’s sitting in the catbird seat” and “tearin’ up the pea patch” to describe the action. 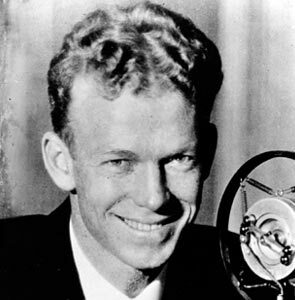 He had joined Brooklyn in 1939 from Cincinnati, a year after his former boss Larry MacPhail became Dodger President and announced the first Dodger game to be broadcast on April 18, 1939. Prior to that, New York-based teams had a gentleman’s agreement not to air games on radio for fear attendance would be negatively impacted. But, once games hit the air and fans were able to follow their teams on a regular basis, it had the opposite effect as new fans were developed. 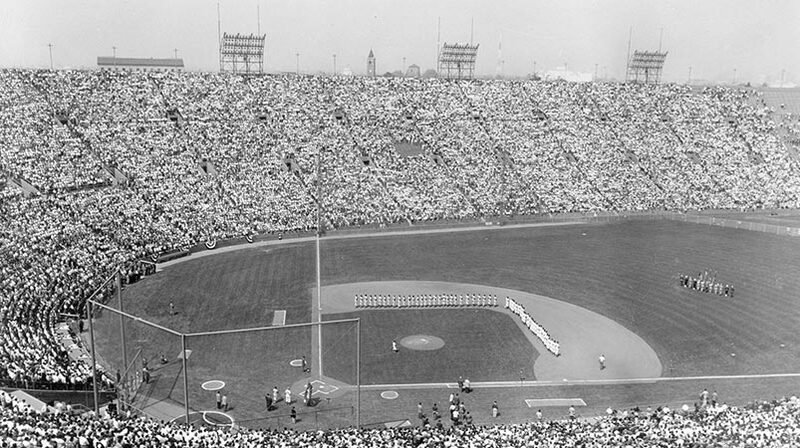 On August 26, 1939, the ol’ Redhead broadcast the first professional baseball game ever televised on W2XBS in New York City (Dodgers and Cincinnati from Ebbets Field). Barber played a big role in the popularity of the Dodgers in Brooklyn with his likeable Southern style. 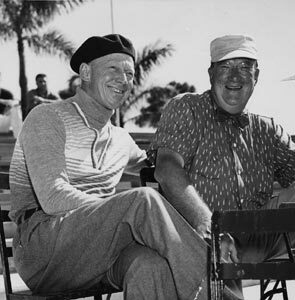 Initially, Barber partnered with Al Helfer, then with Alan Hale, Connie Desmond, Ernie Harwell and finally with Scully. He played a major role in the acceptance of Jackie Robinson’s arrival to the major leagues in 1947. Taking Scully under his wing, father figure Barber helped train him and gave him some important advice: to remain quiet and let the crowd noise be heard in a particularly dramatic moment; don’t get too close to the players; remain unbiased and fair; give the score of the game on a regular basis as listeners are constantly tuning in and out; and be yourself on the mike. Barber resigned after the 1953 season to join the New York Yankees for the next 13 years and would remain as one of baseball’s favorite personalities. He and his New York Yankee counterpart Mel Allen were inducted into the Baseball Hall of Fame as the first recipients of the Ford C. Frick Award in 1978. Barber was born on February 17, 1908 in Columbus, Mississippi and passed away in Tallahassee, Florida on October 22, 1992.